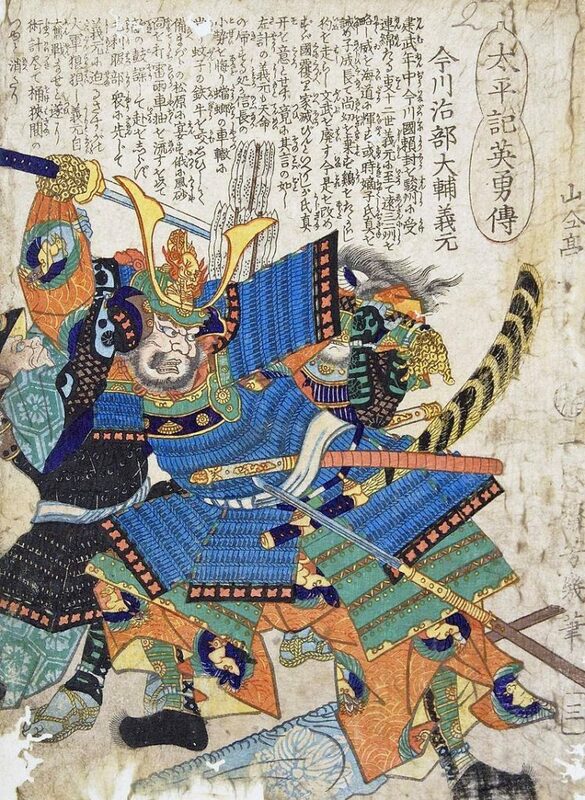 The Battle Of Okehazama, one of the most important battles in samurai history, was fought on June 12, 1560, on the outskirts of Nagoya City when 2,500 samurai trounced an army of 25,000, a ratio of ten to one! 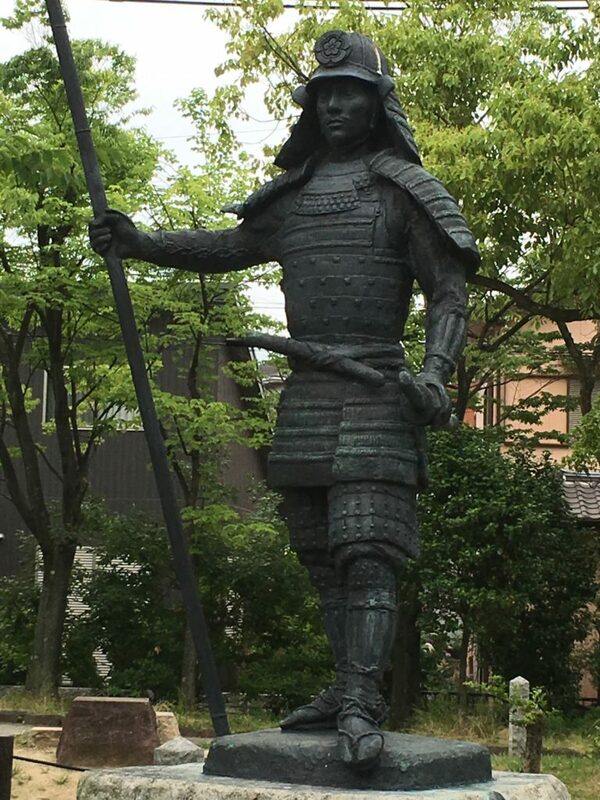 Imagawa Yoshimoto, the powerful warlord of what is now Shizuoka Prefecture, had become powerful enough to make an attempt on the capital, Kyoto. 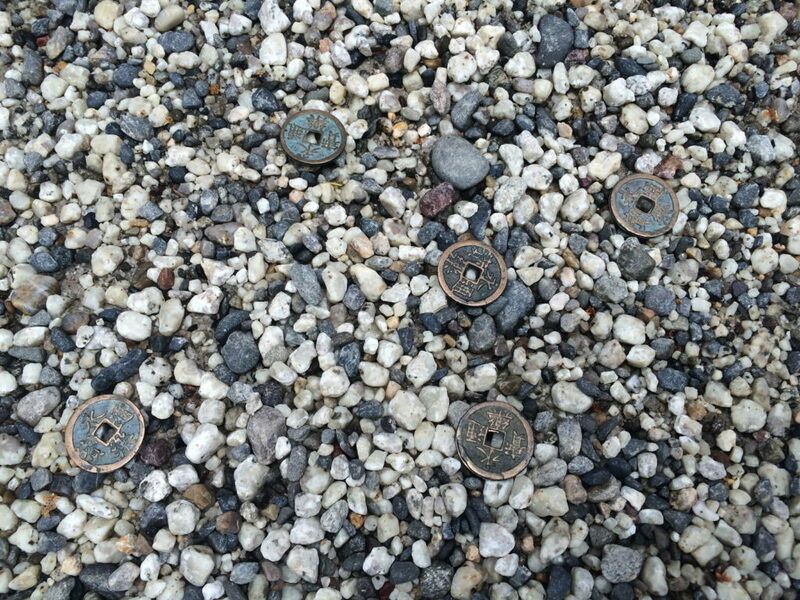 To do so required steamrolling across the provinces, one of which was Owari, (Aichi Pref.) held by the Oda clan under the rule of its violent and charismatic leader, Oda Nobunaga. The Imagawa entered Nobunaga’s territory early June 1560 with an army estimated to have been about 25,000 and camped just outside of modern-day Nagoya in an area known as Dengaku-hazama, near the village of Okehazama. Nobunaga, on the other hand could raise only 2,500. Nobunaga was well aware of the might of the Imagawa, and that they would soon arrive at the gates of Kiyosu. Kiyosu could not stand up against such a strong attack, and despite the warnings of some around him, he hatched a desperate plan. The evening before the attack, Nobunaga gathered his men, telling them that to wait would be suicide, and that it be best to attack the enemy head on, before sending them home to rest. He awoke early next morning, dressed, recited a passage from the song “Atsumori”, intoning that “Man has but 50 years, and life is but a dream,” he donned his armor and wolfed down a bowl of rice porridge while still standing and departed. 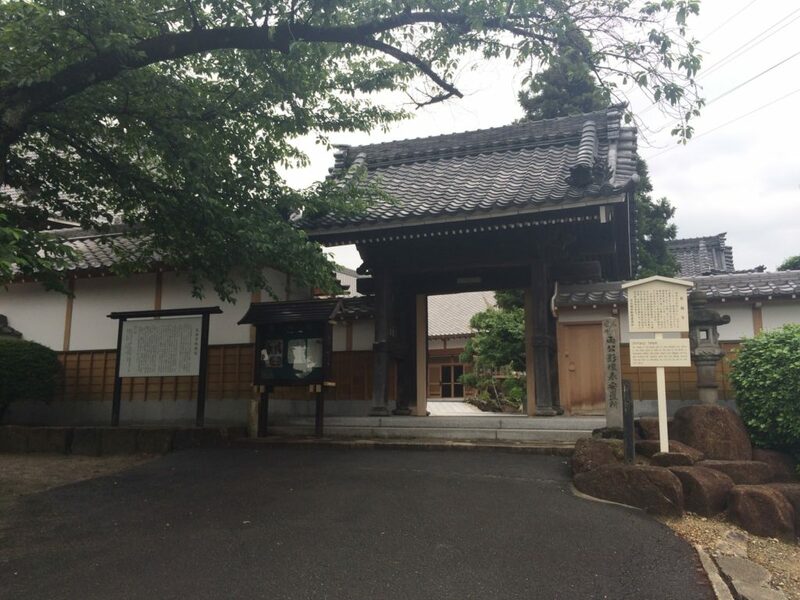 While his exact route from Kiyosu is unknown, Nobunaga did stop to pay his respects at a number of shrines, and visit smaller castles and samurai quarters to gather men along the way, taking four hours, much longer than necessary, to reach Atsuta Shrine. 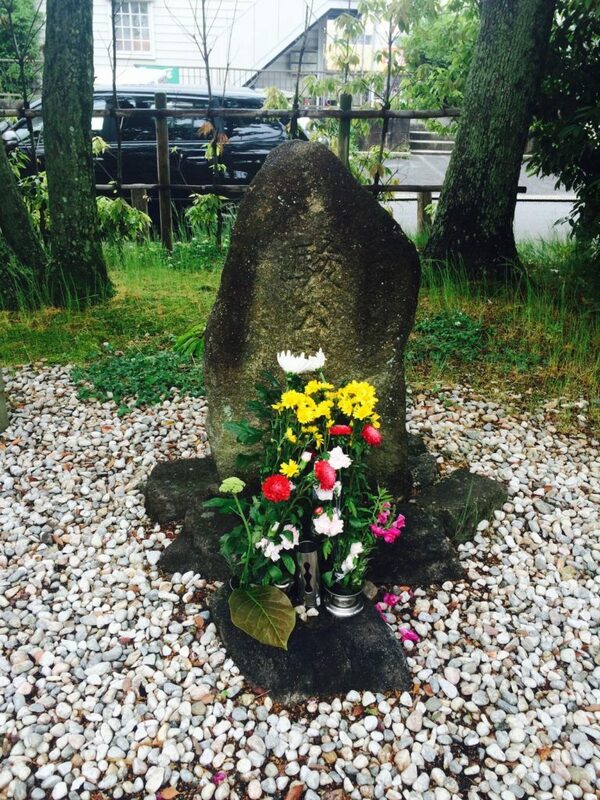 More joined him at the sacred Atsuta Shrine where he prayed for victory. Throwing down five holed coins in an offering to the gods, he and his men were overjoyed to note that all five coins had landed face up, surely an auspicious sign. 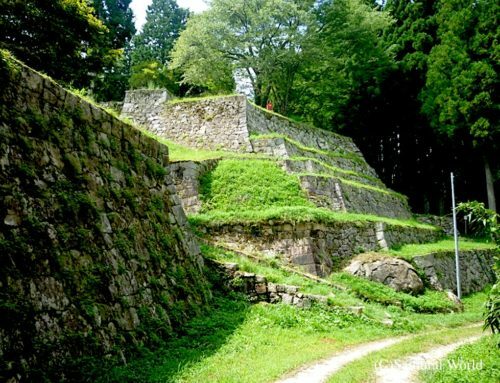 The route from Atsuta to the Okehazama area is well documented, and Nobunaga’s forces soon arrived at the Zensho-ji, a fortified temple overlooking the Imagawa forces camp site. Nobunaga ordered his men to set up war flags and banners around the Zensho-ji to make it look as though there was a much larger army in residence. 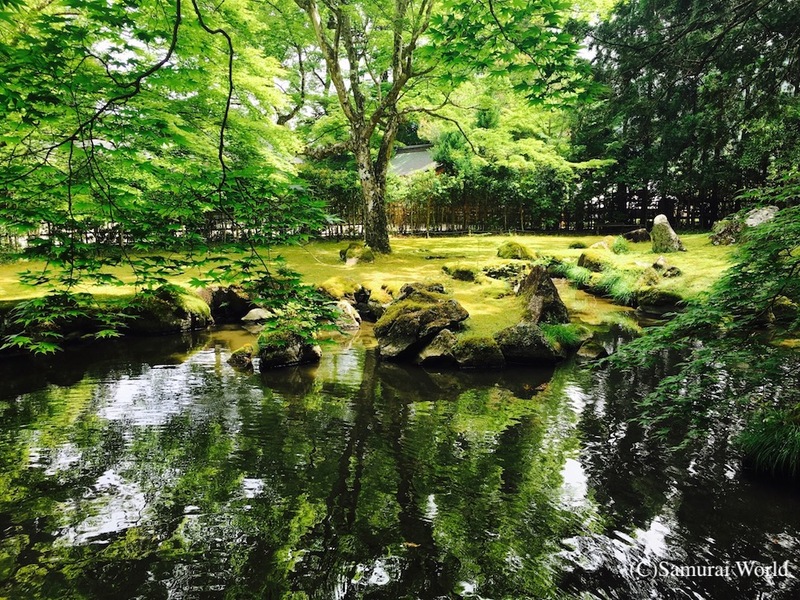 The story goes that undercover of a rainstorm he left the safety of the Zensho-ji and made his way towards the enemy. Recent research has suggested that it was not raining on the day, although strong winds may have masked the noise of the Oda troops advance. Nobunaga and his men secreted themselves into position in an area known as Kamagatani on the other side of the Imagawa’s main camp. Very little is left of the Kamagatani valley, as much of it has been consumed by housing. 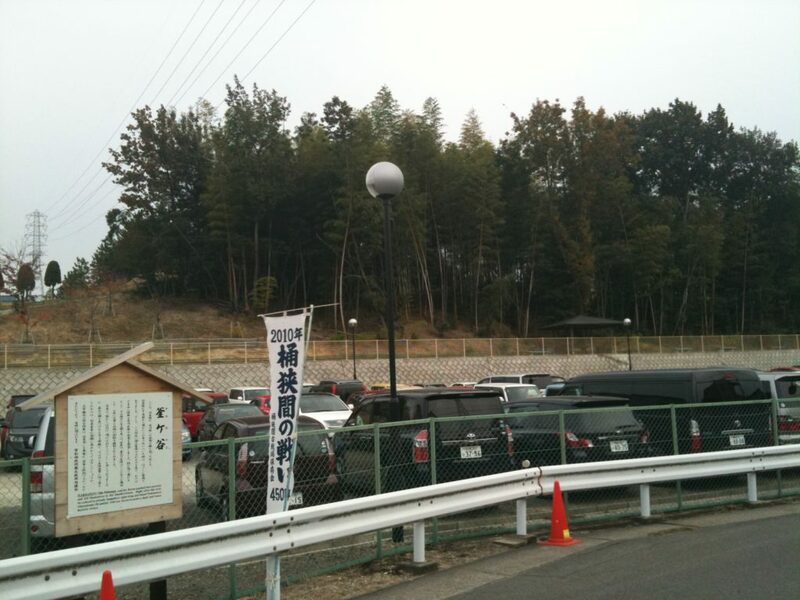 The believed site where Nobunaga and his troops hid in waiting prior to the attack is now a car park for the nearby schools and university campus. 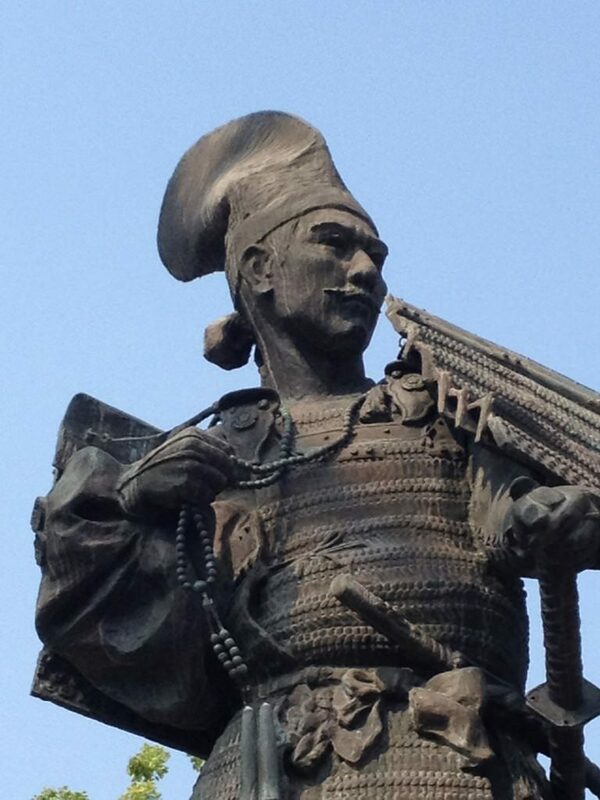 June 12, 1560 was a steaming hot day, interspersed with showers and thunderstorms, during which Nobunaga made his move. The Imagawa forces were celebrating their recent victories over the important capture of Oda held Marune and Washizu Castles, and the liberation of their own Odaka Castle with sake and food. Many had removed their armor because of the heat. The smaller number of Oda troops being familiar with the area, made their way down from the slopes and hills above Dengaku-hazama easily. Their movements masked by weather wind or thunder, they entered the small valley and struck hard at the heart of the Imagawa camp. The battle raged for a short while afterwards, but with their leader having been dispatched early, and all bar two of the senior officers killed, the remaining men soon surrendered, and either escaped or joined the Oda faction. 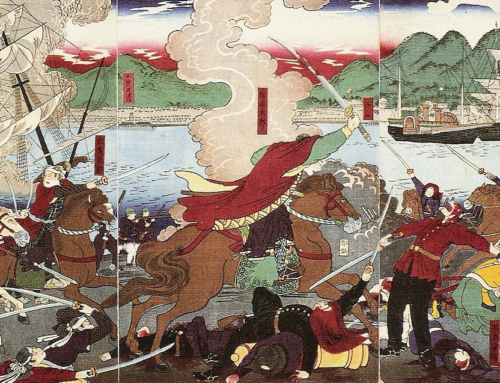 Nobunaga’s 2,500 troops had defeated an army of over 25,000! This was one of the most important turning points in Japanese history. The battle signified the end of the powerful Imagawa clan, and elevated Nobunaga’s name and status across the nation. It also allowed the freedom of one of the Imagawa clan’s prized hostages, a 19-year-old youth, said to have been dressed in red armor, Matsudaira Motoyasu. 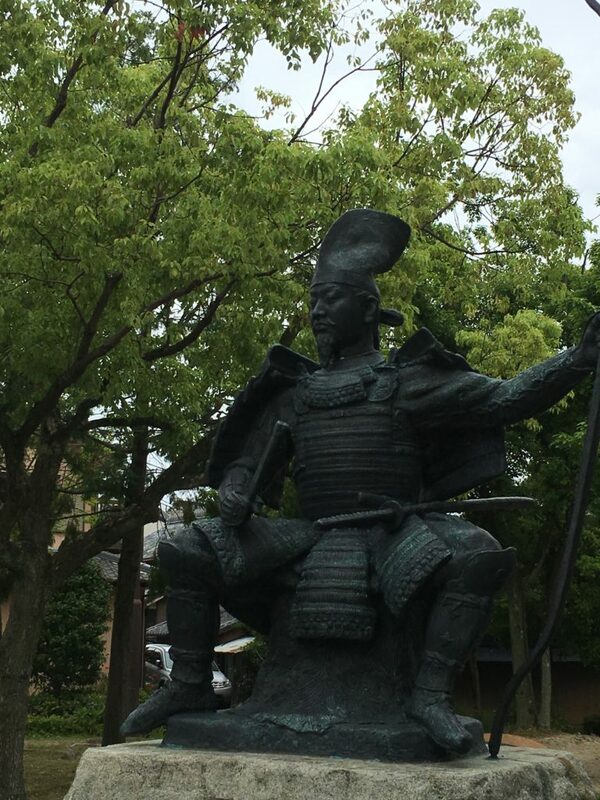 Motoyasu would eventually become the shogun, Tokugawa Ieyasu! 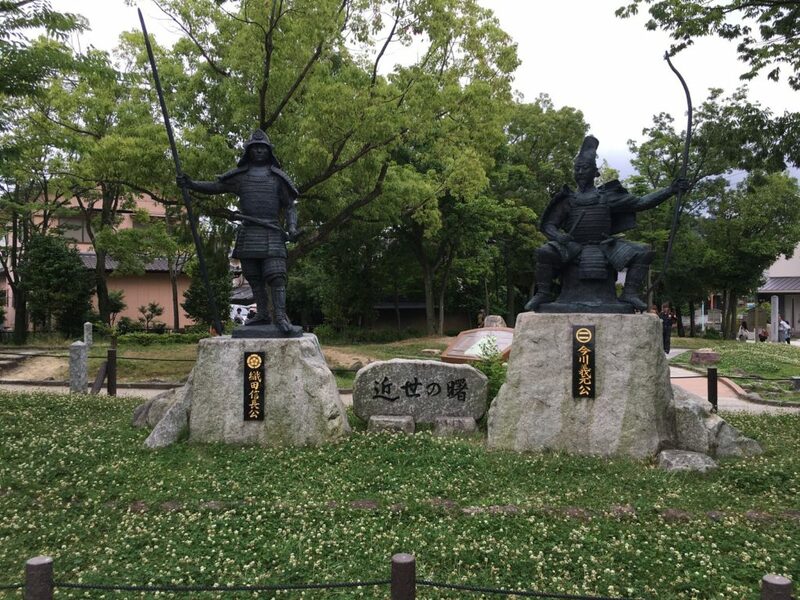 Ieyasu had been tasked with leading a supply mission to Odaka Castle, and was away from the actual battle site when Nobunaga and his men attacked, thus potentially saving his life. 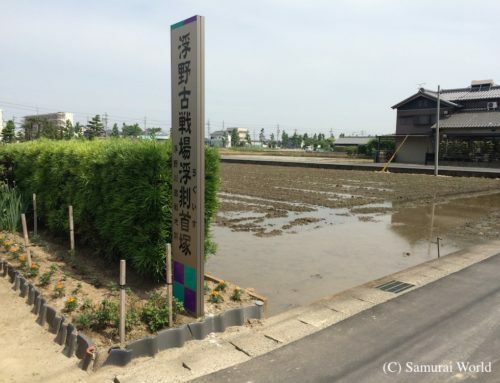 The battlefield is now a park, with statues of Oda Nobunaga and Imagawa Yoshimoto near where Imagawa is believed to have fallen. Part of the park has been landscaped into a battle site georama, mapping out the terrain, including forts, routes and so on. Although much of the area has been overtaken by housing, the Oda route is relatively well sign-posted in Japanese and English and can be easily followed providing a better understanding and appreciation of the battle. Other signposts also point out related historical spots to visit, including the Nanatsu Zuka, or Seven Head Mounds. 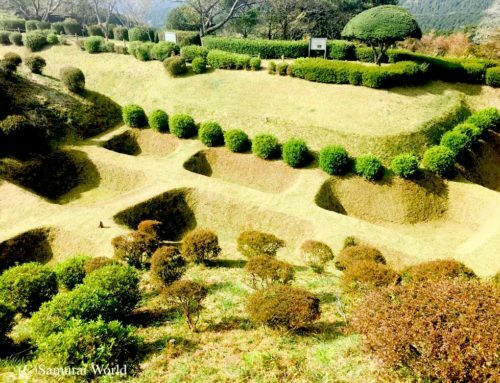 After the battle, Nobunaga ordered the locals to dig seven great pits over a 10 day period, into which the bodies of those slain were dumped. The site of the Nanatsu Zuka, 7 burial mounds is now consumed by private housing, however, a single burial mound, believed protected by a curse, remains. 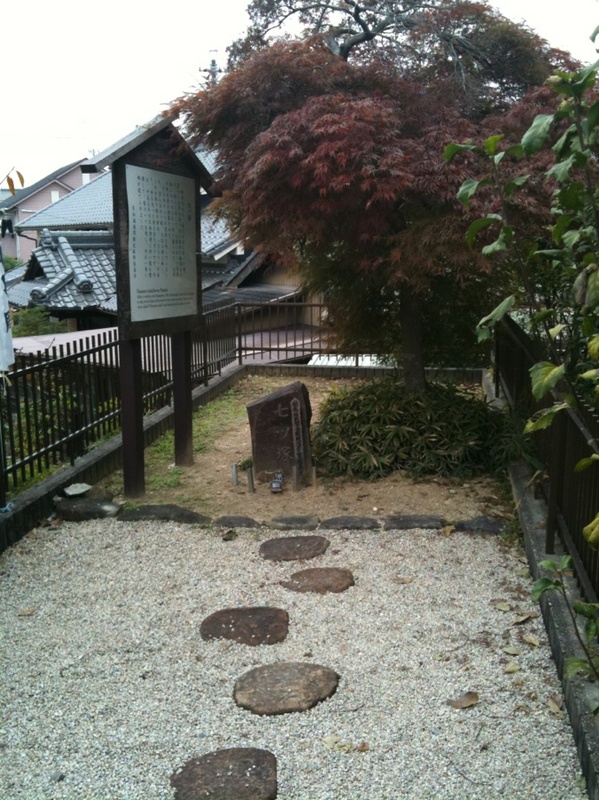 The nearby Chofuku-ji Temple, where many more heads were interred, the Pine Tree of Military Planning, where the Imagawa officers had gathered to decide on their movements prior to the surprise attack, and the actual area where the battle was fought can still be visited easily. The site of the battle is contested, with two “official” sites listed. 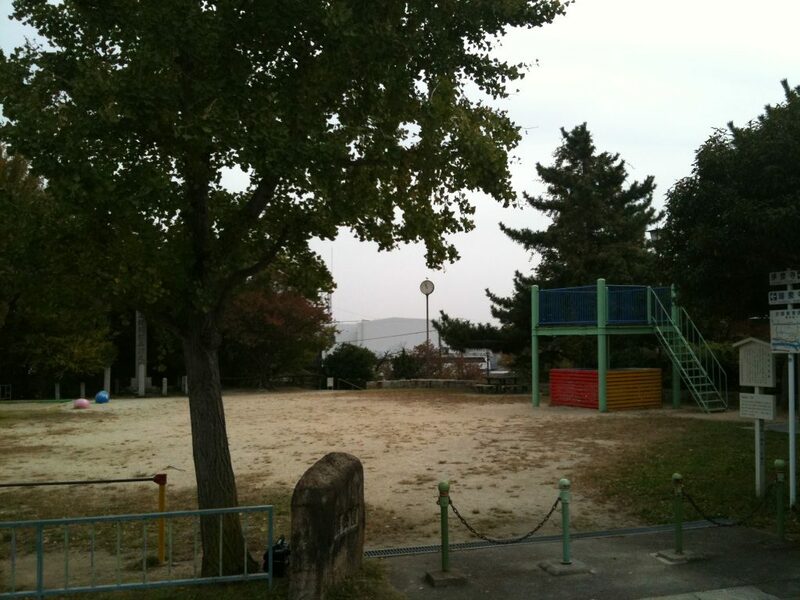 One, the main site, in Midori Ward of modern-day Nagoya City is accepted as the most likely position for the felling of Yoshimoto. 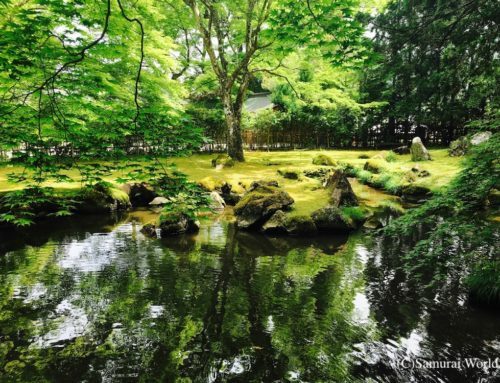 During the Edo period, this site was regularly visited by traveling samurai wanting to see the battlefield for themselves. 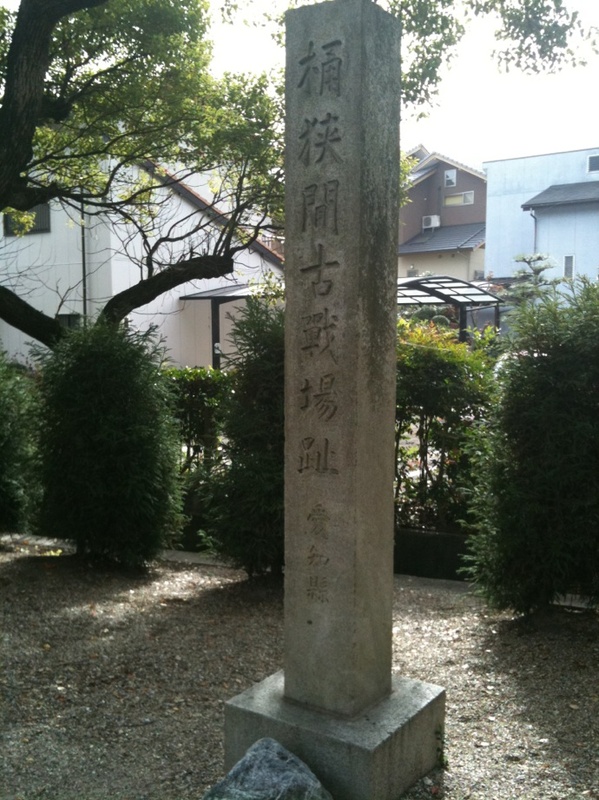 In the 1930’s, an ancient stone monument claiming to mark the position of Yoshimoto’s slaying was discovered very close to where the memorial park now lies, and moved to its current location on the west side of the park. Another site, about a kilometer away and designated as the battle site in 1937 by the Ministry of Education based on the writings of a military expert at the time, can be found in Minamiyakata, Sakae-cho in nearby Toyoake City. 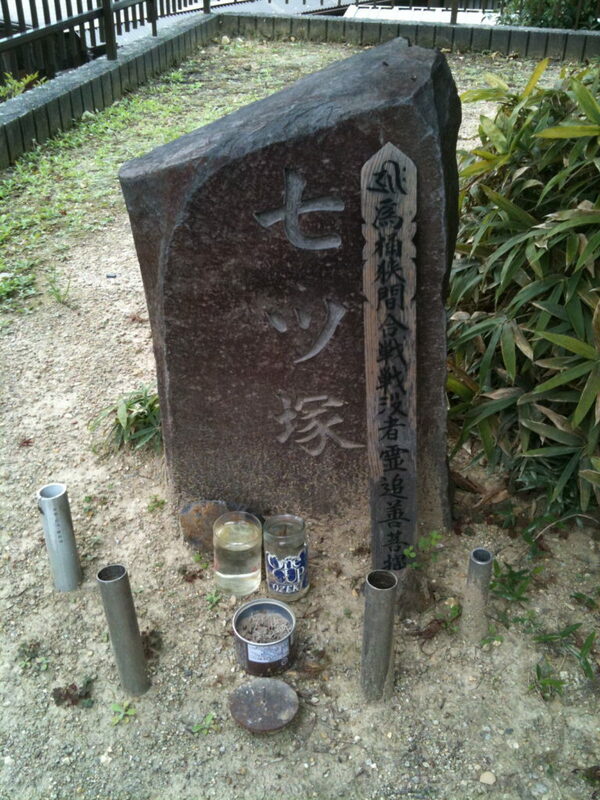 This site, just off National Route 1, the old Tokaido, contains a grave to Imagawa Yoshimoto, a memorial stone, and the Shichi-kokuhyo, or Seven Granite Pillars representing the Imagawa’s seven generals. 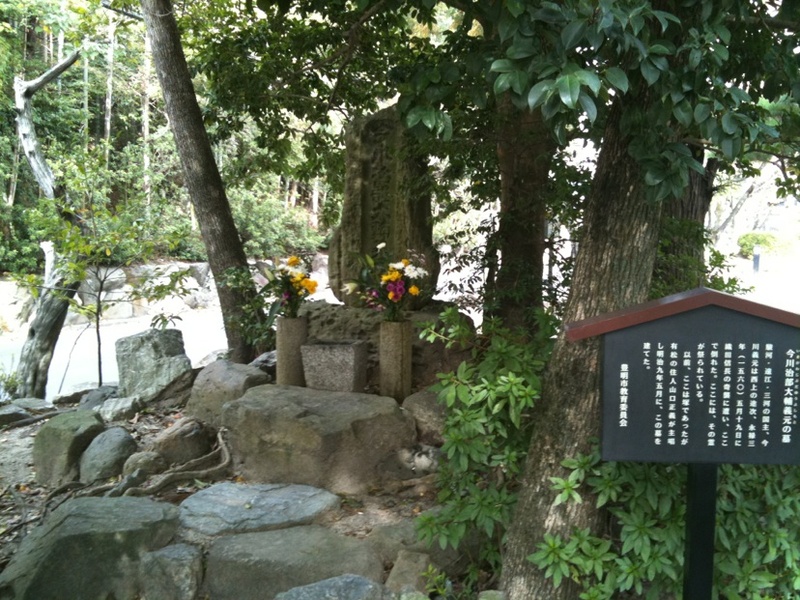 This secondary site also claimed to be the Okehazama battle site and Yoshimoto’s command post site, can be found just below the Koutoku-in Temple. 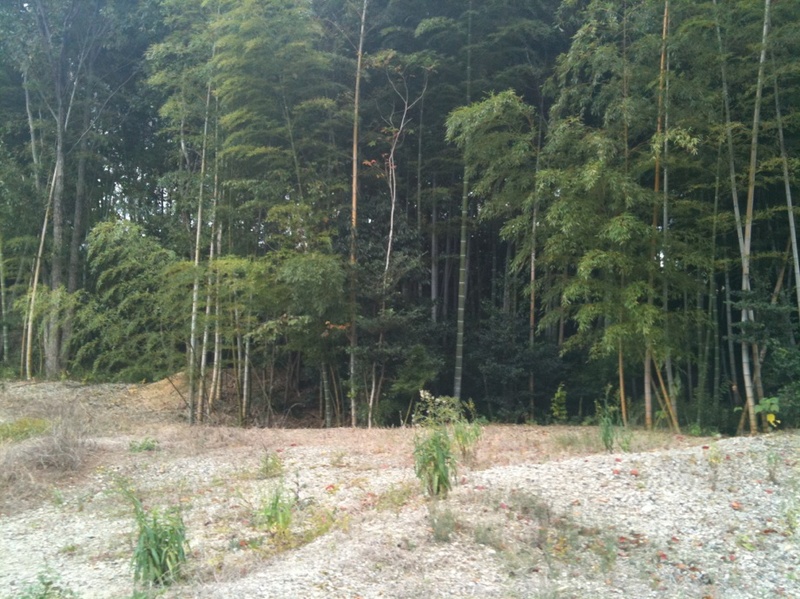 It is possible that this site was one of the many sites used by the Imagawa armies as campsites for the men. So, how did Nobunaga’s small force manage to overcome such a large army of invaders? Aside from the reasons mentioned above, some major points that must be considered are: It must be remembered that although the Imagawa army was numerically superior, not all of the Imagawa men were surrounding Yoshimoto at the time. The area is a series of hills and valleys, and the Imagawa forces were distributed over a relatively wide area and were therefore unaware of the action until it was too late. Likewise, many had been sent ahead to surround and lay siege to the numerous smaller castles in the area. 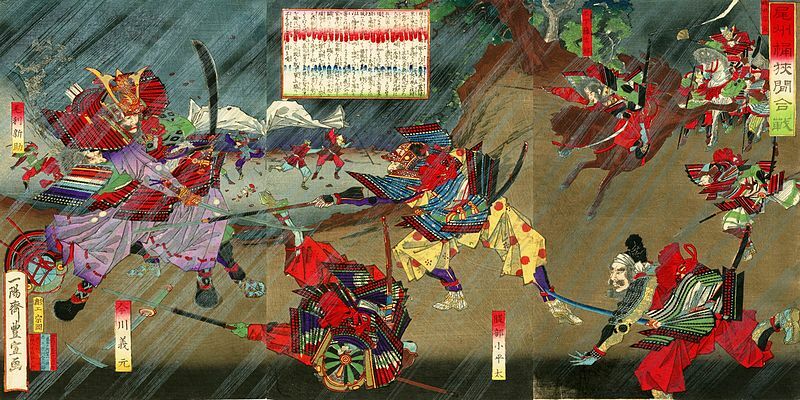 The cunning and brave Nobunaga took advantage of the conditions, the timing of the attacks, the weather, and his familiarity with the terrain to attack the heart of the Imagawa. If he had simply faced the forward troops, he would have been steamrolled by the swarms of following samurai. For this reason, Nobunaga’s smaller numbers managed to defeat the Goliath Imagawa forces at a ratio of ten to one.